The Minitaur is build from SMD components mainly. 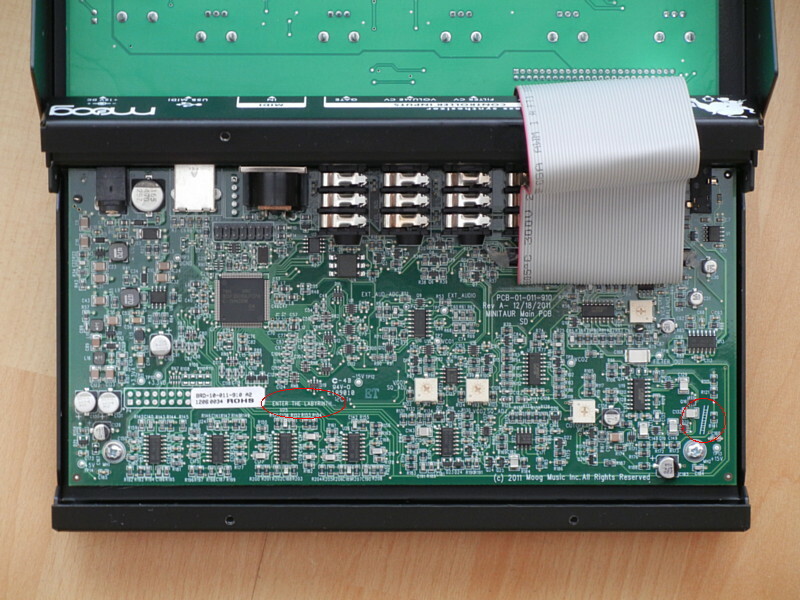 The well known and famous Moog filter ladder is build discrete, but this newer components then the old 70ies Moogs. Nothing bad here, but a cool price tag. This little synth is only compact in size, not in sound. It is not meant to serve as a synth for fX sounds or leadlines. But it is a superb bold bass synth. It is sound wise a compact version of the Moog Taurus III and the vintage Moog Taurus. So be prepared to experience the best bold bass synth you can imagine. This is the famous fat bass sound so many other synths are claiming to deliver but never actually did. I guess C129, C132, C148 and C149 are the capacitors of the filter. The original Moog Taurus used a transistor array chip CA3045 for the top and bottom transistor pair. The Voyager uses a CA3086 transistor array for all 5 pairs of transistors of the filter ladder. 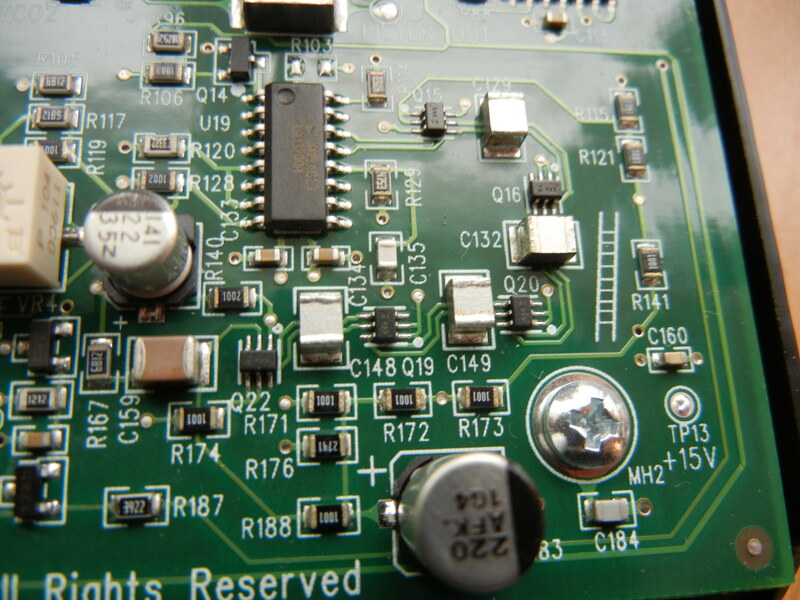 On the Minitaur they (Q15, Q16, Q19, Q20 and Q22) are discrete transistor pairs. 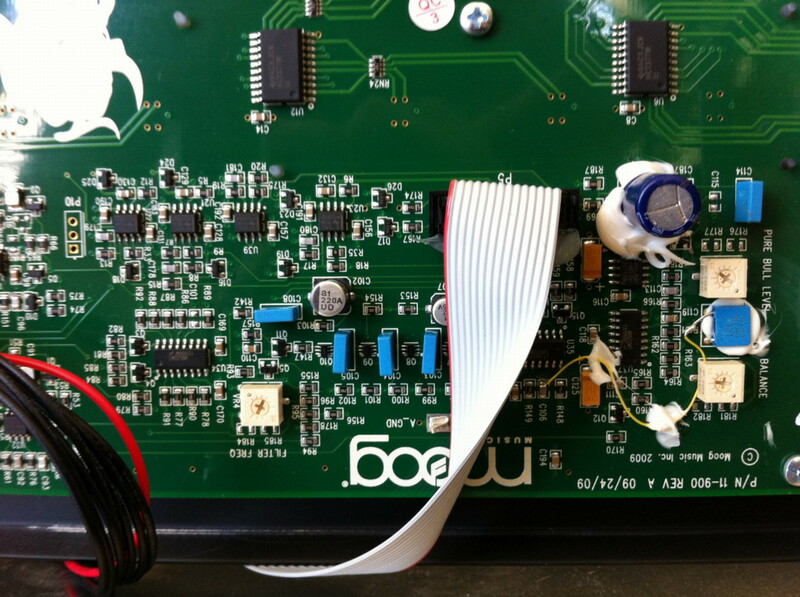 The Moog Taurus III uses through-hole capacitors (C103-C105) for the filter ladder. And SMD transistor pairs (Q06-Q10). So the Minitaur filter is not exactly the same as on the Taurus III. But who cares, if the sound is right. The BEAT parameter is here implemented as a DETUNE. So the original overall constant beating frequency with no relation to the played pitch was changed to the normal detune parameter that is using the same musical interval. While this is a little change from the original Taurus features, it allows you to get some more standard analog synth sounds. Until you send in MIDI modwheel data after switching the Minitaur on, you get a constant LFO modulation to the pitch and or filter depending on the LFO AMT knobs. If you send in mod wheel data, this changes: the current modulation amount is then set by the MIDI mod wheel CC data. And the two knobs no set the maximum modulation amount. 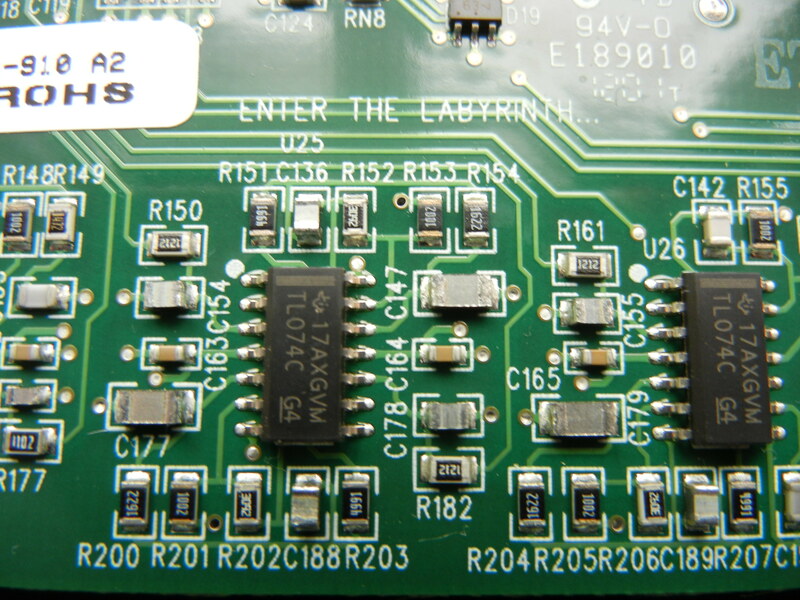 Next to the components that make up the transistor ladder filter is a tiny ladder printed on the board. At about the middle of the board, there is the inscription "ENTER THE LABYRINTH ..." printed on the board. This is referring to the Greek mythology of the Minotaur.